I've had acne since my pre-teenage years, and unfortunately still deal with breakouts as an adult - oh the joys of hormonal imbalance and poor diet! Fortunately, my skin has gotten much better (I know, I know, it's still pretty bad - as you will see in the video that I filmed a couple of months back and finally got around to editing - but believe me it was honestly three times worse at one point in my life). For all those years I trusted doctors who said my diet doesn't in any way contribute to my acne, and I truly believed them. I cannot even tell you how many different medications (both pills and topical) I have tried, and although some did help in the short-term, none have helped heal my acne completely. I am left with a lot of scarring and still get breakouts regularly, but I am now determined to heal my skin in the most natural way possible. I have made important changes to my diet, because I have finally realized just how much what I eat actually reflects in my skin. Some may see it as drastic, but in fact, changing to a raw vegan lifestyle in the last month has already made such a big difference in my skin and my overall health. Animal products, meaning dairy, meat, fish and eggs are in fact very bad for us, and their consumption reflects in our skin and other organs since they increase our chances of contracting a disease or illness. The nutrients they do provide can be equally found in better quality in large quantities of fruits and vegetables and in smaller quantities of seeds and nuts in their purest, unprocessed, raw form. I won't go into too much detail here because I plan on dedicating a whole post to this transitional phase in my life and maybe also my more detailed acne story if you would be interested - do let me know! 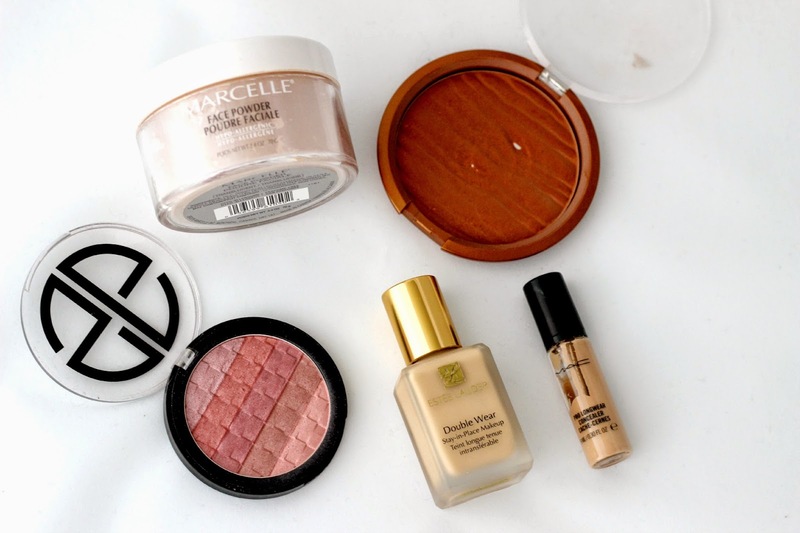 Back to my acne coverage foundation routine, you will see I use a mix of both drugstore and high end. These are products I have been reaching for quite frequently. They are quick and easy to apply and long-lasting and easy to build to my desired intensity. I hope you enjoyed watching! What type of video would you like to see next? I'm definitely interested in the post on your transition to a vegan diet. Since my Mum is allergic to all proteins and I am allergic to some, I grew up eggetarian. But then there is ample junk and oily/salty food in my present diet now, compared to my teenage, which is why I never had acne until adulthood :( I need to work on a really healthy vegetarian diet. Great video! I don't have scars to cover but I'm always interested in how people do their foundation routines. Great tutorial, thank you! I've been breaking out so bad lately. woooow!! I really really love the result. Thanks for sharing!! Great video! Love the results that you achieved with all the products you used! LOVE that MAC concealer I use it all the time for full coverage. THAT STUDIO GEAR BLUSH IS GORGEOUS. I also love using a stippling brush to apply my powder blushes!